Telly Terrors | Hey nerds! With only a week to go until Halloween, it’s time to sit in a dark room with some popcorn and get suitably terrified. Only, with the glut of premier TV horror available to fans of guts ‘n’ gore, that dark room doesn’t necessarily have to be a cinema anymore. Sure, with ‘The Babadook’ and Joe Hill adap ‘Horns’ treating scary movie fans in the run-up to All Hallows’ Eve, the state of horror cinema isn’t looking too shabby – this week anyway. 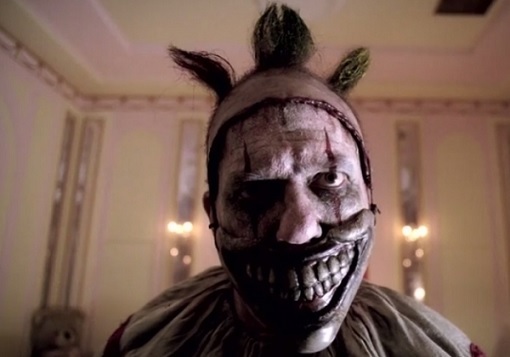 But with UK fans having been treated to the first outing to ‘American Horror Story’s suitably freaky ‘Freak Show’ this week, there’s as much chance – if not more – of being wigged out by the terrors in the tellybox. ^ That guy is obviously nightmare-worthy, and will haunt the dreams of any sensible adult – let alone any unfortunate kiddies who tune in after bedtime, in a similar way Pennywise all but ruined my formative years after I stayed up too late one Sunday night in the ’90s. Even so, if you haven’t caught the awesomely alarming anthology antics of Jessica Lange and co. (and Lange’s singing is sure to give you night terrors even if the homicidal clown doesn’t), you’ll be able to find some top quality horror without leaving the house thanks to TV’s recent embrace of entrails and entropy. ‘The Walking Dead’ may be one of the biggest shows of the moment (and rightly so) but there is plenty more gore for TV fans to gorge on. ‘Sleepy Hollow’ adds a fantastical spin, ‘Bates Motel’ riffs on Hitchcock for a noir-ish serial killer origin story, while Bryan Fuller’s deliciously stylish ‘Hannibal’ is an all-the-trimmings feast for Lecter fans. The genre has even carved a bloody niche on Netflix, with ‘Hostel’ man Eli Roth guaranteed a final third season for his hit-and-miss ‘Hemlock Grove’. Meanwhile, Guillermo del Toro’s vampire saga ‘The Strain’ is already proving infectious, whilst Eva Green lent a magnetic malevolence to Sky’s ‘Penny Dreadful’ which will hopefully deliver on its promise second time around. Even this year’s critical darling ‘True Detective’s crime saga was spun with Southern gothic, its denouement a descent into Hell itself. Why all the post-watershed horror, why now? I don’t care, basically. 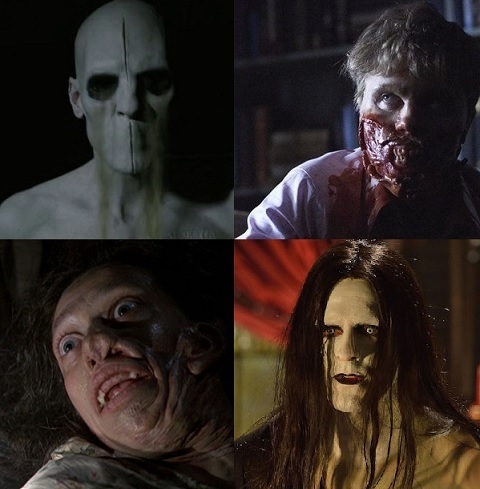 Not since ‘The X Files’ followed in ‘The Twilight Zone’s bloody footsteps 20 years ago, keeping us up all night with classic episodes like ‘Squeeze’ and ‘Home’, has TV been in such a fantastically frightening state.